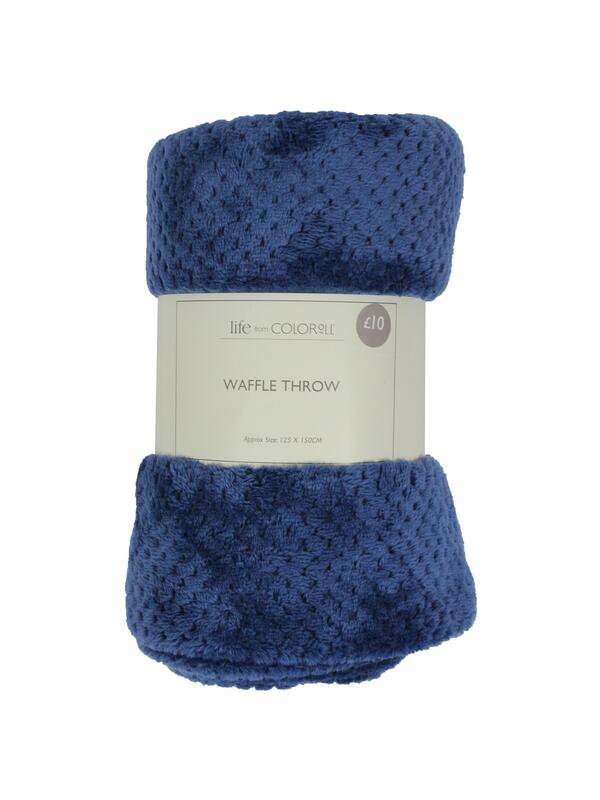 The Waffle Throw is crafted from supersoft fleece in a waffle design. Available in several colours & sizes, this is the perfect way to snuggle up on chilly evenings. Wash Care: Machine Washable. Please Read Care Label For Full Details. Free Delivery Over £50 Excludes ALL Furniture Items. Some of our items are despatched directly from our supplier and are not available for Click & Collect or CollectPlus.